The Beachin' Event Is HERE!! We Are Excited To Be Celebrating This Great Season!! Andersons Angels, Joy Of Momma Joyner and The More The Merrier love the Summer Season! 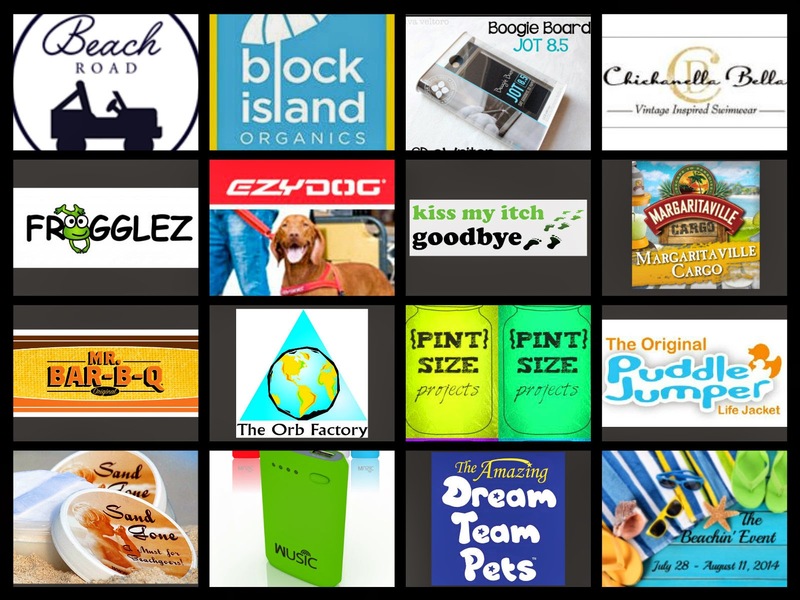 To celebrate, they have teamed up with an awesome group of bloggers and wonderful sponsors to bring you great products that anyone would need for a great beach trip or beach themed party! ONE WINNER will walk away with this whole prize package worth over $900! I MOST EXCITED ABOUT THE MARGARITAVILLE DRINK MAKER! I am most excited about winning that Margaritaville drink mixer. I am most excited about the Boogie board writing tablet. All of these prizes look awesome but I'm most excited about the Bali Drink Mixer. The SPF 15 Lotion and After Sun Gel!! Excited about the Margaritaville – Bali Drink Maker. I'm most excited about the beach blanket! I've always wanted a nice one! I'm really excited about the Aveeno Skin Care Kit.